Anyone touched the general would die! But one day, a girl slept with him! Rumor has it that the empire’s first general, Shen Chengfeng, has a quirk that does not allow anyone to touch his body! But on a certain day, not only did he touch people, but also slept with a certain person! … For countless generations, it is rumored that the empire’s well-known Xiao family only had sons who became generals. But the fact is, they actually have a daughter named Xiao Jing! However, she must dress as a man to become a young soldier. … Anybody who will have a contact with Shen Chengfeng’s skin will die. This is the secret of the Shen family that cannot be disclosed. Xiao Jing, however, was careless and touched the general’s body everywhere! … The Shen family is well aware of the fact that Shen Chengfeng’s both hands are like strong sulfuric acid. Once touched, even the bones will not be saved. Xiao Jing, however, was not paying attention and touched him all over! … The Shen family understood that the body of the imperial general is special and cannot have a wife and children in this life. However, one day, the general suddenly announced that he is going to marry a certain soldier! In other words… Xiao Jing didn’t have a choice but to disguise herself as a man to become a soldier. Unexpected events led her to have physical encounters with the empire’s most distinguished general, Shen Chengfeng. However, unknown to the public, this military master has a mysterious secret – anything that he touches would all turn to ash! Surprisingly, Xiao Jing was an exception! How will our hardworking Xiao Jing keep her little secret hidden when Shen Chengfeng is constantly keeping an eye on her? 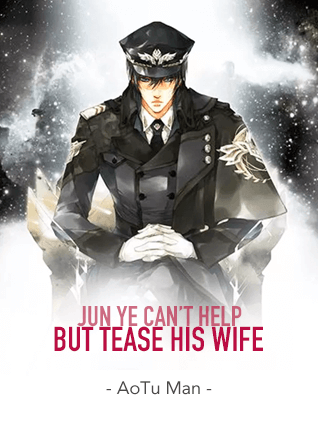 And how will our formidable general react when a certain soldier is not affected by his supernatural ability? What kind of person would like to read this book?